Meditate To Regenerate » Morocco » A Packed & Fruitful Sunday! The irritation of waking up early on a Sunday morning was soon gone when we were greeted by the beautiful, warm Moroccan sun and the sound of the Atlantic waves making blowholes and barging against the beachrocks. 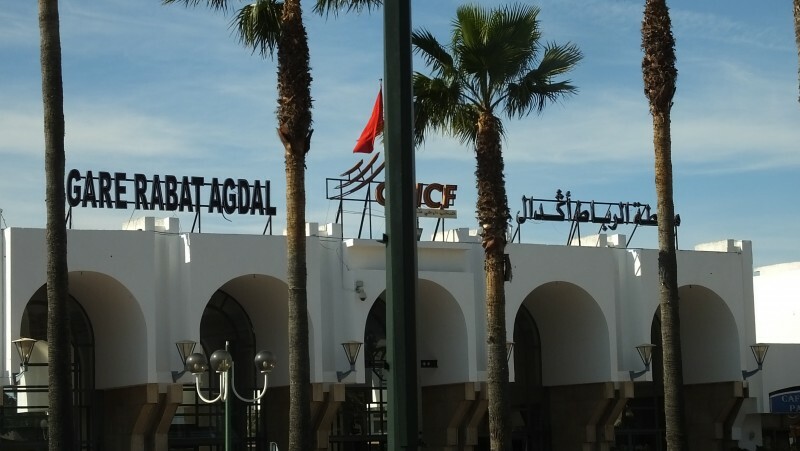 A quick breakfast and 6 of us were off to INSEA (Institut National de Statistique et d’Economie Applique),in the Agdal Suburb of Rabat for two back to back workshops with the students of the Journalism Society of the Institute (INSEA TV). All the students were freshmen or just a year into their college education. 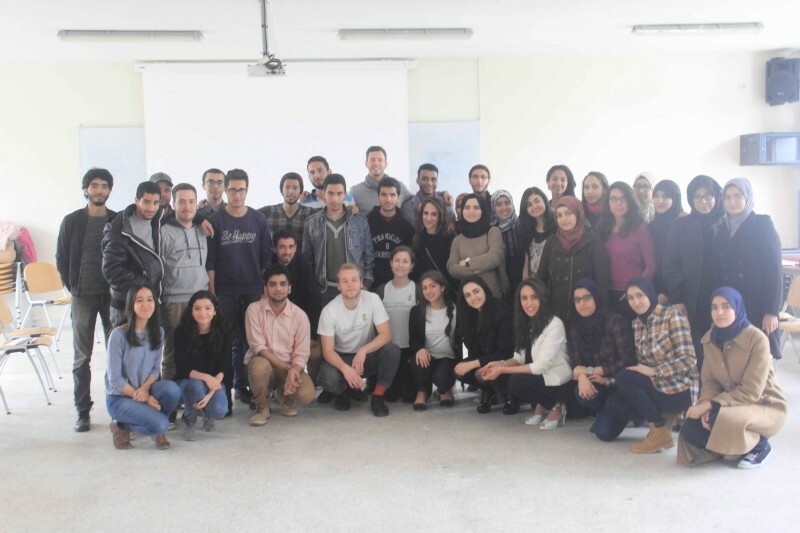 The workshops were based on the theme ‘True Self-Development and bringing a change in yourself through inner-peace’ . We were warmly welcomed by the Coordinators and as we prepped and setup for the different games and activities ,more and more students came and to our joy it was soon a hall full of curious boys and girls. Meanwhile, the the other bunch of us was at the Villa practicing the dances and musical pieces and preparing for the coming up workshops and concerts. The workshop started off with us giving us a short introduction of Meditate to Regenerate and ourselves and them giving theirs. Beginning with some games to break the ice cause to ease up the atmosphere in the room cause not all of them were majoring in the same courses. It began with the ‘Find’ game where we got to know each other better by going around asking trivial questions, the joy was visible on their faces as we moved on further to the ‘Tangle’ game. We asked them questions and let them explain themselves as to what they took away from the games and how can they analyse and find analogies to real life situations . After all the fun games we sorted them into groups of four to discuss and list the issues, fears and social dilemmas they face as the youth of the society they’re in, as students and personal life goals. The contemplating and thinking began as they discussed and we too among ourselves. And finally it was time for the ‘Number Game’ before meditating to evaluate the groups Synchronisation and how well do they gel as a collective, which was followed by a really calming and peaceful session of Meditation and a round of the Number Game which surprisingly went very well!! We finished the workshop with asking them in what ways could Meditation be helpful to them in the problems they discussed upon and how could they bring about changes in their lives with it and then had a one on one question time answering all their queries. All in all it was a really rewarding session for everyone as the second workshop came to an end and we interacted with the students and they excitedly offered us to show their Institute which was really beautiful. We said our goodbyes in the hope of seeing them again at one of our concerts ,Follow-up Programs and headed back on the train to Skhirat. With two lengthy and successful workshops and the ongoing Practice we called it a day! All in all it was one power-packed day well ended with a long walk along the beach and appreciating the Sunset and the Ocean’s immense beauty.